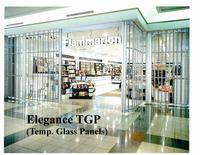 The Elegance-TGP "Tempered Glass Panel" is part of the Elegance family of products, utilizing a full height aluminum hinged panel with 4 5/8" wide tempered glass panel inserts. 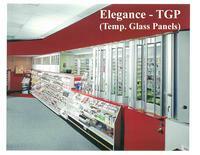 Each glass panel is encapsulated in PVC gasket and fitted into the aluminum hinge sections. 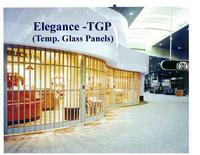 The Elegance TGP offers maximum visibility and enhanced security.